Santa Fe Mazda has a huge selection of the Mazda vehicles that you are looking for. 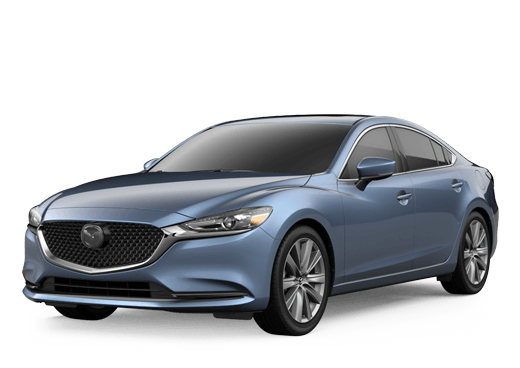 View our inventory to find the Mazda of your dreams! With our vast Certified Pre-owned Mazda inventory at Santa Fe Mazda, you can get a pre-owned Mazda with all the benefits of a factory warranty. Getting the service that your Mazda needs is easy when you count on the knowledgeable and experienced service team at Santa Fe Mazda. Between Mazda and our dealership, Santa Fe Mazda always has special offers that you can take advantage of right here in Santa Fe. Nothing drives like a Mazda and Santa Fe Mazda is prepared to prove it. We want you to get behind the wheel of a Mazda today, even if it’s just for a test drive. Let us show you why so many people are picking a Mazda as their next model. We have all the most popular Mazda options including the Mazda CX-5, Mazda3, and more. If you’re not ready for a new car, then we might be able to interest you in one of our numerous high-quality used options. Don’t forget, Santa Fe Mazda is also here for any Mazda service or maintenance that you may need. At Santa Fe Mazda, we have been doing this for quite some time. Nearly three decades in fact, and throughout that time, we have remained true to our founding principles. We are a family-owned dealership that believes in putting customer and community first. Time and time again, we have supported this community through coordination with area high schools and participation in local events and activities. When you want to buy from a name that you can trust right here in Santa Fe or the surrounding areas including Las Vegas, NM, come to us, and you will never leave disappointed.